Late Friday night, as the nation was preparing to learn whether Don Draper was D.B. Cooper and be disappointed either way, another television mystery was solved. And as with most great television mysteries, the answer only raised more questions. TVLine broke the news fans of The Good Wife yearned to know even as they feared the answer: Julianna Margulies and her departing co-star, Archie Panjabi, weren’t even in the same room when they shot their final scene together. Why? No one knows, but probably because they hate each other. 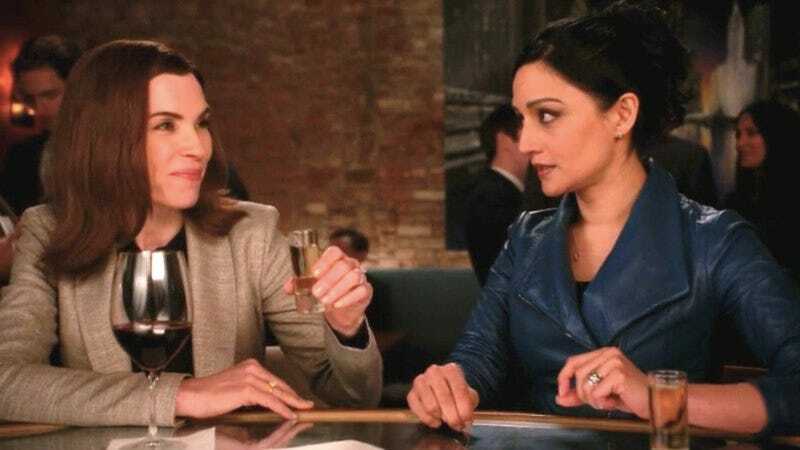 Some background, for the Good Wife agnostic: The relationship between Margulies’ character, Alicia Florrick, and Panjabi’s character, Kalinda Sharma, evolved from a prickly professional association to a genuine friendship, and their bond became vital to the show. During the show’s stellar fifth season, however, fans began debating an alarming trend: the lack of scenes between Alicia and Kalinda. As their separation continued, rumors arose of a personal rift between the actors, one so severe the show’s producers just accommodated them by keeping the characters separated. The speculation peaked with a Buzzfeed piece calling attention to the complete absence of Alicia-Kalinda scenes since season four’s “Red Team, Blue Team,” which originally aired in February 2013.